That's really it. And even if you don't meet your qualifications, your Kasasa Cash account is still free — plus you'll still earn our base rate of interest! And you can get right back to earning your rewards the very next month. *APY= Annual Percentage Yield. APY accurate as of 7/1/2016. Rate is subject to change. Minimum amount to open account is $50. If qualifications are met each monthly qualification cycle: (1) Domestic ATM fees incurred during qualification cycle will be reimbursed up to $20 (up to $4.99 per single transaction). ATM receipt must be presented for reimbursement of an individual ATM fee of $5.00 or higher; (2) balances up to $20,000 receive APY of 3.05%; and (3) balances over $20,000 earn 0.25% interest rate on the portion of balance over $20,000 resulting in 3.05% - 0.72% APY depending on the balance (calculation based on $120,000 balance). If qualifications are not met, all balances earn 0.05% APY. If you also have a Kasasa Saver account tied to a Kasasa Cash account, the Kasasa Cash rewards (interest and ATM fee refunds) are automatically transferred to Kasasa Saver each statement cycle and the interest will not compound. As a result, the actual interest amount paid for Kasasa Cash may be less than the APY disclosed for that account. Qualifying debit card transactions MUST post and settle to your account during the Monthly Qualification Cycle. Transactions may take one or more business days from the date the transaction was made to post and settle to an account. ATM-processed transactions, transfers between accounts, and debit card purchases processed by merchants and received by our bank as ATM transactions. This account is intended to be the accountholder's primary checking account for personal, family or household purposes in which payroll transactions and day-to-day spending activities including but not limited to grocery, gasoline, apparel, shopping, dining, sporting and entertainment transactions are posted. Commensurate with the spending activities identified above, we expect the account's debit card to be used frequently each month and transaction amounts reflect a wide dollar range. Small debit card transactions conducted on the same day at a single merchant and multiple transactions made during a condensed time period (typically at the end of a monthly qualification cycle) are not considered normal, day-to-day spending habits. These types of transactions appear to be conducted with the purpose of qualifying for the account's rewards and thus will be deemed inappropriate transactions. Frontier Bank reserves the right to determine if the account is being maintained for a function other than day-to-day, primary use. Customers who persist in making debit card transactions in a calculated and limited fashion in order to meet monthly qualification may have their accounts converted to a different checking account or closed altogether. We reserve the right to close this account at any time, without advance notice. Our decision to close the account will not affect your existing obligations to us, including any obligation to pay fees or charges incurred prior to termination. Upon termination of your Kasasa account, any optional add-on products / services to this account will also be terminated at the same time. In the event that your account does not meet the qualifications on a regular basis, such as not having a direct deposit transaction post and settle your account in each cycle or your account is not set up for email statements, we reserve the right to close your account or convert your account to a free-checking non-Kasasa account offered at the bank. Monthly Qualification Cycle Explanation: "Monthly Qualification Cycle" means a period beginning one business day prior to the first day of your current statement cycle through one business day prior to the close of the current statement cycle (Example: Qualification Cycle: July 31 – August 30; Statement Cycle: August 1 – August 31). Additional Information: Account approval, conditions, qualifications, limits, timeframes, enrollments and other requirements apply. Limit one Kasasa account per social security number. Contact a customer service representative for additional information, details, restrictions, processing limitations and enrollment instructions. Member FDIC. 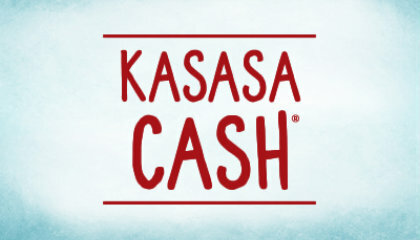 Kasasa and Kasasa Cash are trademarks of Kasasa, Ltd, registered in the U.S.A.
**The national average APY is accurate as of 9/17/2018, published in the FDIC's Weekly National Rates and Rate Caps; average rate used is for deposits under $100,000.